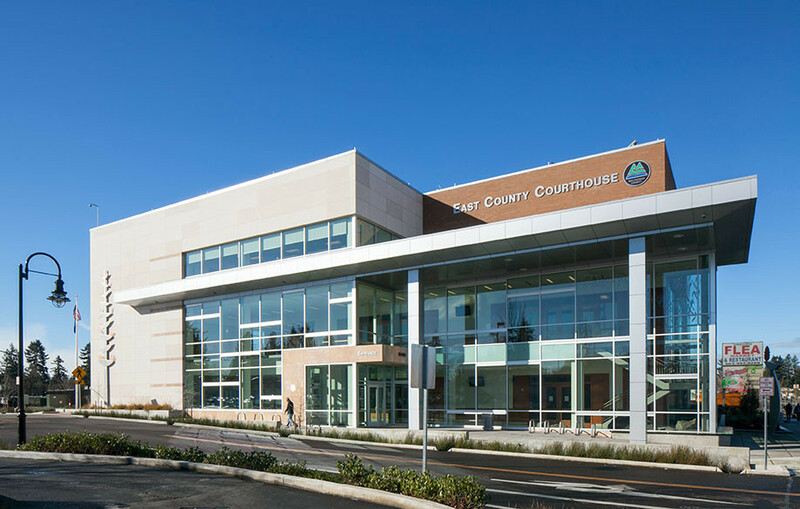 The East County Courthouse is the successful conclusion of a 25-year effort by Multnomah County to fund and build a new courthouse and fulfill a commitment to provide court services to residents of East Multnomah County. 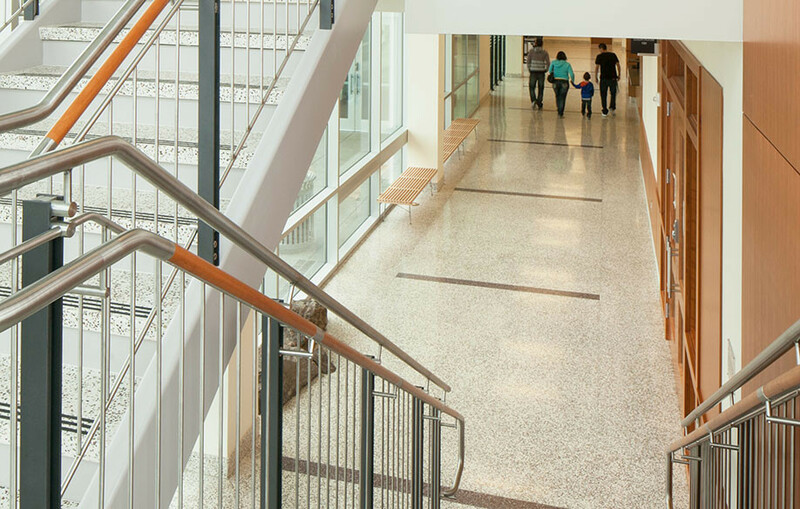 The three story steel frame structure is clad in brick, stone, and glass and offers a strong anchor to promote new development in the surrounding Rockwood Neighborhood. The materials and systems are durable, but relatively moderate in cost to reflect good stewardship of taxpayer dollars. 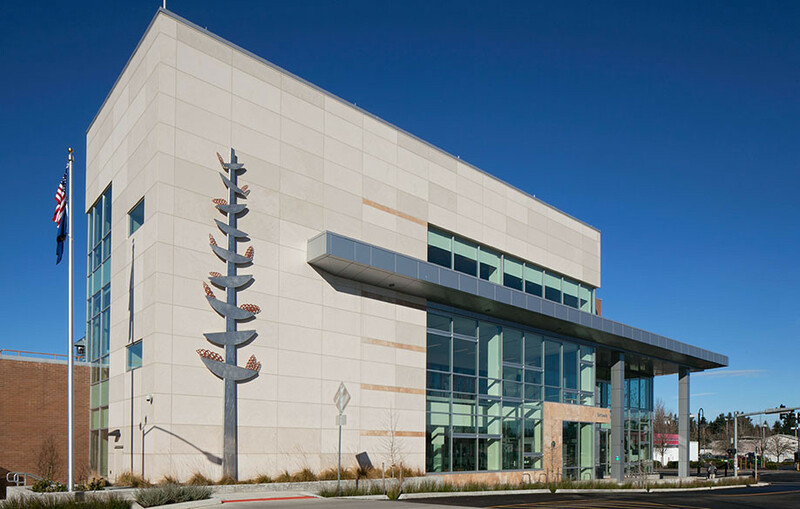 The project includes three courtrooms, administrative and court support staff space, offices for the District Attorney, Multnomah County Sheriff and a new data center for Multnomah County. 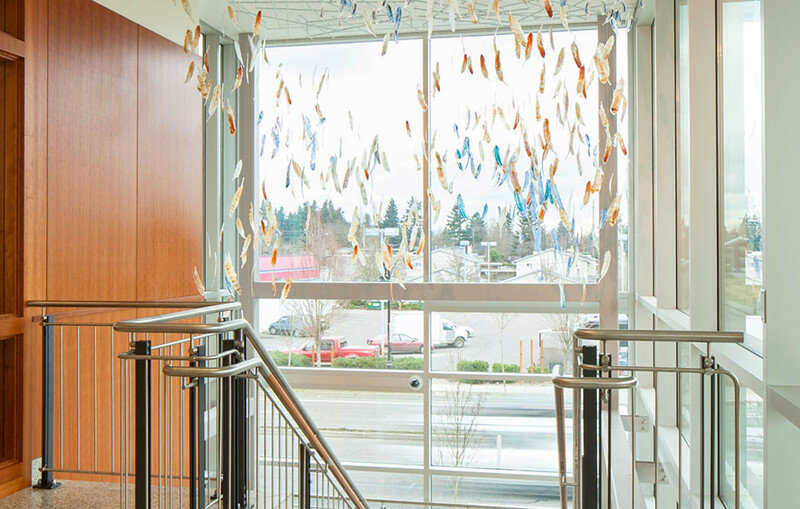 This highly sustainable project met the Architecture 2030 challenge and achieved LEED Gold Certification with features such as a green roof, photovoltaic array, and utilization of geothermal wells for process heating and cooling.